Monstrous Matters: Now in Light City: The Sidekick! 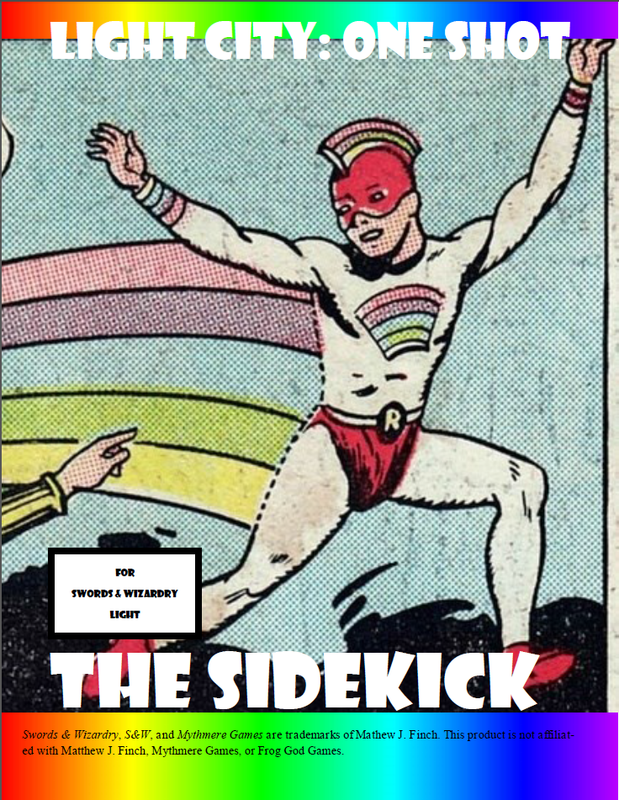 The Sidekick is a great support class that I think would also work well in a standard fantasy campaign. You can get it free from RPGNow! I think it would be a good torchboy/hireling class.